“The cost of covering loads has been too high. Brokers today, for several reasons, make too many calls to find capacity, including no one source that has accurate information.” Prasad Gollapalli, Founder and CEO, Trucker Tools Smart Capacity. Learn how technology is helping Tom Curee of Kingsgate Logistics reduce time finding capacity and increase revenue. 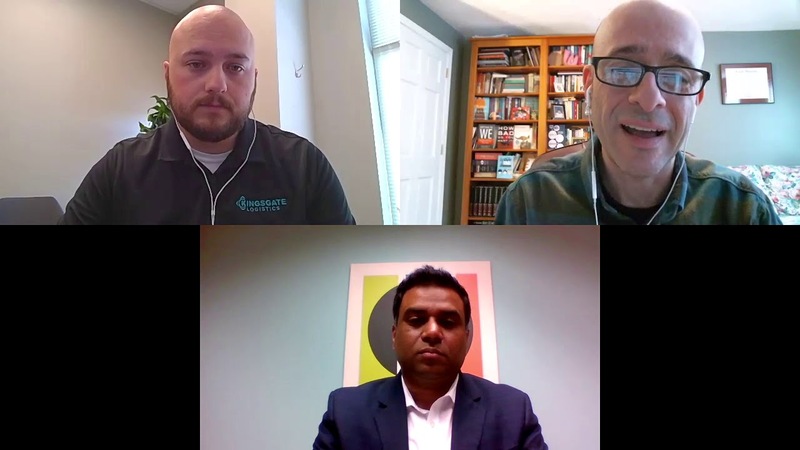 Tom joins Prasad Gallopalli, founder and CEO of Trucker Tools in an upcoming edition of the popular video blog, Talking Logistics, hosted by Adrian Gonzalez, President of Adelante SCM.